Student Challenge: What do you know about the benefits and lessons learned from the Filipino Martial Arts?Here we have featured in the video below, a basic drill in the Filipino martial arts classes we teach here in Woodbridge. The drill is called ,"meet the force." Reminds me of "Use the Force, Luke!" every time I say it though. Brief explanation: One side will feed one of the five angles of attack at their partner and they will respond with the corresponding action, such as hitting the hand while avoiding the attack. 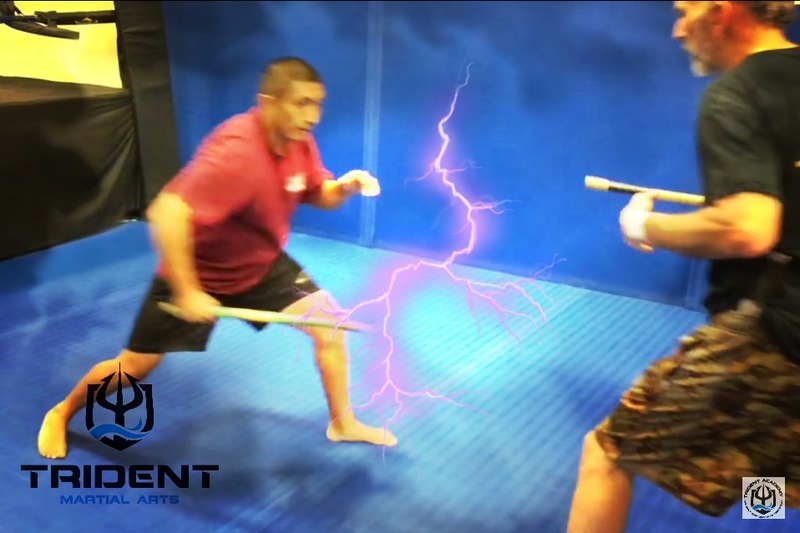 In the comments below we challenge our students to come up with 10 lessons learned from this drill that carry over into the entire martial arts concept. Good luck and may the force be with you. Trident Student Challenge! Watch video, and comment below. Explanation in description of this post. After getting your feedback, I'll show this to Mr. Tray and we'll put out some conclusions on the discussion. Thanks for playing. 1) “Defang the Snake”. Not a big fan of the phrase, but a key lesson is to combine your defense with an offensive strike. 2) Similar to lesson 1, the drill is a good introduction to economy of motion. The attacker does not rechamber/reset for the next attack, which flows from the first. The defender does the same while simultaneously removing a threat. 3) The importance of footwork. The attacker advances while the defender both intercepts and evades. The drill includes training that attacks are dynamic. 4) Range management. The attacker moves in from largo mano while the defender manages the range by stepping back. 5) Sectoring. Though not unique to FMA, some arts work on the centerline. The drill demonstrates the advantages of triangular footwork and oblique attacks/defense in extending the diversity of attack. 6) Targeting. The defender is directing an intentional strike to remove a threat/defend and not swinging away. This should be the focus in all arts, but is especially true in FMA where destructions (mechanical, vascular, nerves) are common. I believe this was intentional due to the mismatch of weaponry in conflicts centuries ago – but is just as relevant today. 7) The flow. Repetition is key to training a response that really needs to happen at an unconscious level. Other arts utilize forms and the like, but the flows of the FMA allow numerous reps with minimal time, creating a significant advantage. The flow is seen here with successive strikes/defense as well as the back and forth trade between the two. 8) Breathing. So much is going on so fast that it’s easy to forget this vital element. Real attacks can (and probably will) be a flurry of strikes. The persistent motion of the drill trains controlling your oxegyn when you may not have the opportunity to recover between attacks. 9) Peripheral vision and gaze. Though you can’t see it clearly, the drill teaches (at least Jim and Mikey should be) not tracking the attack through focused attention but rather to “monitor” the whole body. The physiology of vision makes the periphery far faster than reacting to object directly in your gaze as motion alone, without color, is processed. The lesson should be training this, especially at speed (and with padded hands and gear). 10) Though it isn’t shown, a critical element of the drill is to engrain following-up into your CNS. Hitting the hand most likely won’t end the fight. 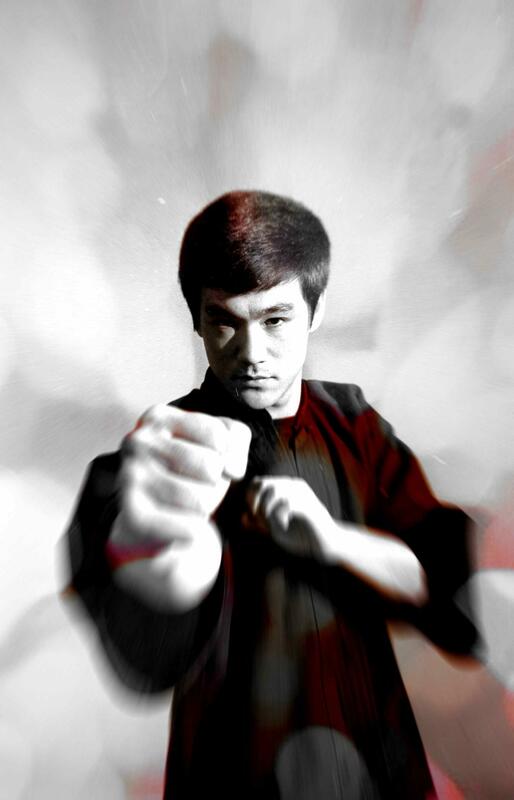 10 lessons learned from this drill that carry over into the entire martial arts concept. 3. Timing of movement to evade attack and launch a counter attack. 4. Footwork (use of male and female triangles) to evade attack and to counter attack. 5. Attacking weapon hand so it won’t work again to re-attack. 6. Economy of motion-attacking and counter attacking with aspect of weapon easily in motion to perform attack. Weapon is there and ready easily followd through. 7. Control-both combatants are utilizing controlled attacks. For follow up with another attack. 8. Attacks are multi level head and body. 9. Lots of movement vice standing still. 10. Wearing of obnoxiously colored shorts to distract opponent. Any of these could be applied to other martial arts. Lesson One: Get your head off center line to evade the attack, utilizing 45 degree (male triangle) step back.